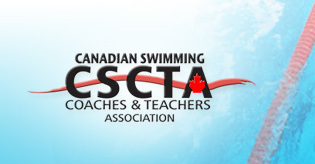 Coaches must reapply for membership with the CSCTA at the start of each swim season and memberships are Active until September 1 each year unless otherwise noted. If you are currently working inside a Program that operates inside the umbrella of Swimming Canada, your registration process must be initiated by your Club Registrar through the Swimming Canada registration site. Once this has been done our system will generate an email to you with your personal registration link. You must follow this link to complete your registration. If you are not working with a SNC affiliated swim club please contact us to complete your registration. American Swim Coaches Association (ASCA) is available as an optional membership at a reduced rate of $90.00 through CSCTA while completing registration.